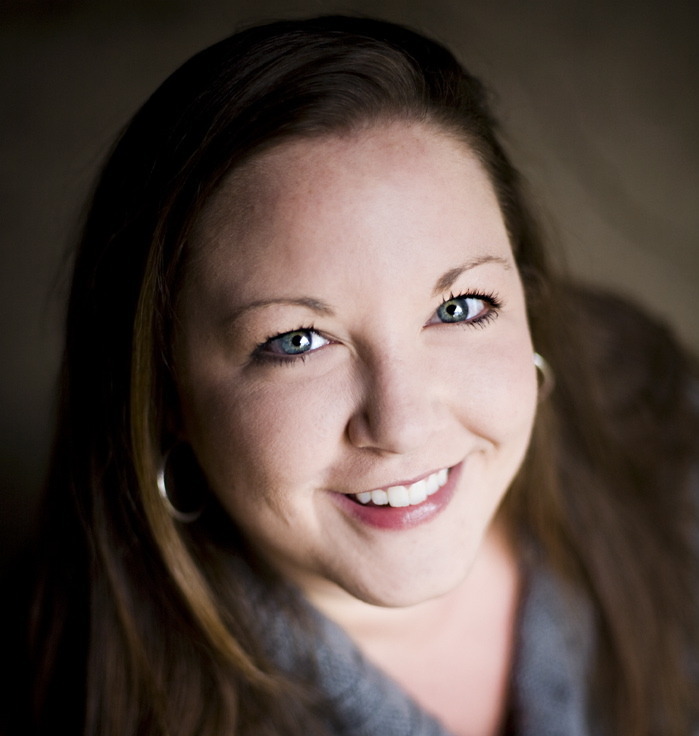 Today, I’m delighted to welcome Jennifer M. Barry, author of The Kingdom and Side Effects, to my blog. When did you catch the author bug? I don’t know if I caught it, or if I was born with it. I’ve always enjoyed art - creating and performing - but most of my energy was focused on the stage. Looking back, I was always scribbling little stories or playing them out in my head. I have notebooks full of “novels” that date back to fifth grade, and my mom swears I started telling tales when I was in Kindergarten. After I started writing The Kingdom, I sent a few pieces of it to a friend. She encouraged me through the remainder of the book and then dared me to find a publisher for it. I’d never considered publishing before, so I was really clueless about the whole process. I’m really still learning as I go, but I’m super thrilled with Martin Sisters Publishing, my new publisher. They’re a new company, but my editor has been incredibly supportive. They help me remember why I love writing in the first place. We share a love of Ireland, can you tell us a little about the connection and how Ireland has influenced your work? Most who know me have heard of my husband, Liam, who is screaming at Manchester United on TV at the moment. He grew up in Cork, Ireland, and moved to the States about ten years ago. I’d always been interested in Irish culture, since many of my ancestors came from there. It wasn’t until my first visit that I really understood the magic of the country - the incredible beauty and amazing history. On a bus ride to Galway, there was this saucy little kid sitting behind us, kicking the seat and spouting profanity. My silly author brain imagined him as this fantastic being who’d been trapped on Earth for thousands of years, and Ciarán was born. I didn’t know how to write a whole book about a snotty little kid, so I then had to create a hero and heroine. I made Rioghan and Lily a little snotty, too, because it’s just so fun. Many of the characters in the book are based on people I’ve met in Ireland - specifically Liam’s family and friends. They’re some of the fiercest, funniest, and most loyal people I’ve ever known, and I’m proud to introduce them, piece by piece, in the characters I write. 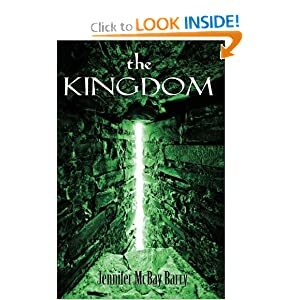 What Irish location has been your favorite to visit and did it make it into you first book, The Kingdom? around it and the nearby town. I wish I could say that I’ve been inside, or even near the castle, but I’m afraid it sits on private land and is often surrounded by sheep. I also included a lot of places in Cork, like Scott’s Pub, The Old Oak, and SoHo, which are places we go every time we visit. I had to feature Stephen’s Green in Dublin, the Cliffs of Moher, and a few other iconic attractions. Mostly, I just wanted the country to live and breathe - to be as much a character as Rioghan or Lily. I seem to be entrenched in the supernatural. Even when I start a story without a supernatural element, it sneaks it. You seem to have shifted from Paranormal to Contemporary effortlessly, is it part of your plan to write all kinds of fiction or is it an organic process? I see stories everywhere, and I try to write them down when I can. The most important thing to me is that they speak to someone, anyone. Supernatural is fun, but it’s important to remember that real life is still going on around us. 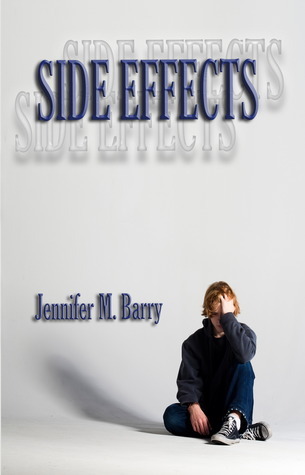 Side Effects was inspired by a short story, and that story was extremely important to me. As someone who suffered from anxiety disorder, I wanted the chance to share my experiences with others and show them there is hope. I have plans for The Kingdom. The second book in the series is complete, and the third is well under way. The Morning Star will be released early next year through my new publisher. I also have another paranormal series in the works, though this one features ZERO fairies, vampires, werewolves, angels, demons, etc. The Oracles of St. Ambrose will be about humans doing superhuman things. Even with all of this magic going on in my head, I can’t ignore real life. 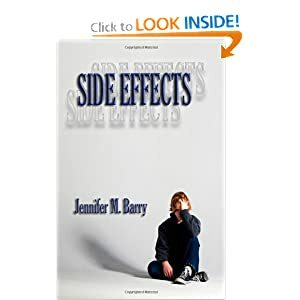 Side Effects will have a follow up novel featuring two new characters, focusing on learning disorders and the effects of music therapy. Can you tell us anything else about your writing process? Most of the time, I just try to grab some time wherever possible. I write marketing articles, web content, and blogs on a freelance basis, so sometimes it’s hard to find the will to write fun stuff. To get in the mood, I spend some time thinking out the scenes I want to write, getting a feel for the characters again and maybe testing out some dialogue. Then I put on some music that fits the story so I can block out any other distractions (*cough* Liam *cough*) and try to lose myself in the world I’m trying to create. I don’t really work by a solid outline, though I do plan out the story from beginning to end. Sometimes I write the first and last chapter before I do anything else. Then I fill in a skeleton with the most important scenes first before connecting everything together. There are a few dangers to this, but I find it helps me keep the same style throughout the book - to keep the same voice. But then sometimes, I just sit down and write one straight through. I guess what I’m saying is…it just depends. What has seeing your name on the cover of your books meant to you? Of course, it’s incredible to see my name on the cover of a book. It never once occurred to me to use a pseudonym, to be honest. I mean, how would my mom tell everyone that I wrote a book? How would that guy I had a crush on in seventh grade know I was published? There’s something just…magical about seeing my name right there on the cover. It’s the same feeling I got when I saw my name in the program for concerts, musicals, and operas. I accomplished something! I started it and finished it. I hope to write a hundred books and put my name on them, and I don’t think I’ll ever get tired of that thrill. What isn’t next? I always have huge dreams and ideas, and I like to encourage others to find theirs, too. I’ll continue writing my books, working as an editor, boosting other authors, listening to music, laughing at my husband, sharing my experiences, and smiling. As for what’s in the works, I mentioned previously that I’ve completed the second book for The Kingdom series, I’m a few chapters shy of completing the Side Effects spin-off, and I’m putting the final touches on the first book of a new series. I have some books for adults in my head and scattered across papers, but nothing has taken a solid shape yet. I love what I’m doing, and I hope to keep doing it for as long as I’m physically and mentally able. Rioghan has been trapped here on Earth since the fall of Lucifer. He spends his days toying with the emotions of the lowly humans while his father, the High King, wishes for him to grow up and accept his royal obligations. When Rioghan meets Lily, the daughter of a famous opera singer, she is nothing but a shiny new toy to him. Lily has a very firm mind of her own, however, and can't be bothered by one more person professing undying love for her when they haven't even taken the time to get to know her. The harder she resists Rioghan, the faster he falls, until he realizes that she has become his reason to be. High school can be Hell on Earth, a fact that Isaac Matthews knows all too well. How is a guy supposed to deal with Anxiety Disorder, adolescent hormones and college and career choices all at once? On top of all that, he meets Grace—the beautiful, outgoing new girl who shakes his very foundation and grounds him at the same time. What he does is try the medication that’s supposed to make him better, knowing that there’s a chance he could just get worse. Warning: Side Effects may include increased heart rate, dry mouth, interrupted speech, elevated body temperature, and dizziness or lightheadedness upon seeing her smile. Thank you for stopping by, Jennifer. It was great getting to know you a little better. Thanks so much for hosting me, Carol! I love what you're doing, and I'm honored to be a part of it. Hooray for snotty characters! Side Effects sounds really intriguing. Great interview.